At least one has an image. There are a couple of ads that look like they could be the sponsors', but don't seem to go anywhere. Maybe the site is effectively moribund. Admins, please edit as needed! The entire site consists only of plagiariam -- 15 urls from my site forming the bulk of the material. Copyright Act (the text of which can be found at the U.S.
you first contact an attorney. (15) Text: COLOUR SYMBOLISM IN CANDLE MAGIC . html.” Location (URL) of infringing material in the catalog. authorized by the copyright owner, its agent, or the law. Please check the required field to confirm. sent to a third-party which may publish and/or annotate it. isn't properly filled out or if the complaint is incomplete. 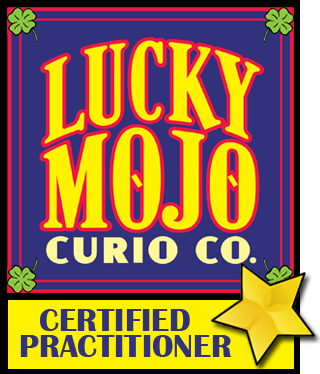 enterprise, the Lucky Mojo Curio Co. I am happy to have helped find the plagiarizing and copy-right theft by prayer-candles.blogspot.com. Still, I'm sad this kind of thing happens and that constant diligence is needed to take the sites down. I hope I'm wrong about this ... but Miss Cat please go to http://www.spellsofmagic.com/spells -- look at the Fiery Wall of Protection spell Miss Cat. There is a spellcaster with a 561 area code which is West Palm Beach, although I am not certain this is her site. I did not see a list under the wholesalers for "Florida". (here at home Lucky Mojo). Apparently the company is located in Pennsylvania. 717- I just googled the name of it. I have this printed. It says it was created by user 18649, and this appears to be some type of forum. There is a place to report on this (that site) site for copywrite infringement. Again I hope I'm wrong. Not sure how long it takes for them to remove the infringing site/material, but the site is still up. I'm sure you're keeping tabs, but I know how time slips by when you're busy and you forget to check back on something. I don’t know how to post a picture but the LM Come to Me label is on that site.